This is a list of The Thinker sculptures made by Auguste Rodin. The Thinker, originally a part of Rodin's The Gates of Hell, exists in several versions. The original size and the later monumental size versions were both created by Rodin, and the most valuable versions are those created under his supervision. There was also a limited edition of 12 copies made from the original plaster mold by the Musée Rodin after Rodin's death. The Thinker exists as bronze casts, exhibition plaster casts (some were painted to look like bronze patina), and original production plasters, which some consider art objects today. In front of the University of Louisville's Grawemeyer Hall in Louisville, Kentucky. ^ a b c "Twenty-Five Years After the Bomb: Maintaining Cleveland's The Thinker". Journal of the American Institute of Conservation. 37 (2): 173–186. 1998. doi:10.1179/019713698806082877. Archived from the original on 25 September 2009. ^ Blanchetière, François; Thurrowgood, David (2013). "Two insights into Auguste Rodin's The Thinker". Art Journal. National Gallery of Victoria. 52. Retrieved 9 April 2015. ^ "Le Penseur, élément de la Porte de l'Enfer". Musées d'art et d'histoire, Genève. Retrieved 9 April 2015. ^ "The Thinker (Le Penseur)". National Gallery of Art. Retrieved 9 April 2015. ^ a b c d e f g h "Rodin's Enlarged Thinker". RODIN-WEB. Retrieved 9 April 2015. ^ Zaccone, Janene (9 April 2012). 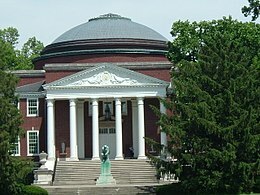 "Fact Sheet: The Thinker at the University of Louisville". University of Louisville. Retrieved 9 April 2015. ^ "The Thinker". Detroit Institute of Arts. Retrieved 9 April 2015. ^ "The Thinker". Musée Rodin. Retrieved 9 April 2015. ^ de Roos, Hans (23 December 2004). "The Digital Sculpture Project: Applying 3D Scanning Techniques for the Morphological Comparison of Sculptures". Computer and Information Science. 9 (2). CiteSeerX 10.1.1.124.6463. ISSN 1401-9841. ^ "The Thinker". Fine Arts Museums of San Francisco. Retrieved 9 April 2015. 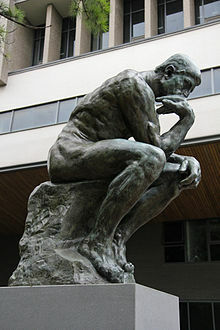 ^ "Now that's something to ponder: Auguste Rodin's The Thinker sells for a record $15.3 million at auction". Daily Mail. 9 May 2013. Retrieved 9 April 2015. 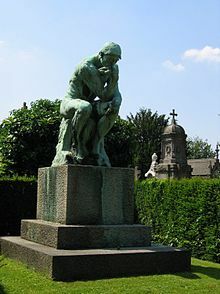 ^ "Le penseur du père Lachaise Bruxellois". Le soir. 31 October 1992. Retrieved 20 February 2017. ^ "Survey of the Large Thinker Plaster Cast in Strasbourg (1)". 3 December 2002. Retrieved 9 April 2015. ^ "Plaza del Congreso". Sitio oficial de turismo de la Ciudad de Buenos Aires. ^ "www.barriada.com.ar - Mabel Crego - Estatua El Pensador de Rodin". www.barriada.com.ar. ^ Michaud, Christopher (6 May 2010). "Sotheby's marks a solid night at Impressionist sale". Reuters. Retrieved 9 April 2015. ^ Labo (2 October 2012). "The valuing of exceptional paintings and works of art". Gilles Perrault. Archived from the original on 26 June 2015. Retrieved 9 April 2015. ^ "A God Among Men". The Cleveland Free Times. Archived from the original on 2 April 2015. ^ "Le Penseur". Kunst in de openbare ruimte. Retrieved 9 April 2015. ^ "Auguste Rodin". Musée des Beaux-Arts Montréal. Archived from the original on 22 November 2013. ^ "The enlarged Thinker: New posthumous bronze casts", penseur.org. Accessed 20 March 2013. ^ "MacLaren Art Centre - Media Releases - The Thinker Reviewed". Archived from the original on 8 January 2009. Retrieved 16 October 2010. ^ Barry, Dan; Rashbaum, William K. (20 May 2002). "Born of Hell, Lost After Inferno". The New York Times. Retrieved 9 April 2015. ^ "PR: Martin Lawrence Galleries Delivers World-renowned Masterpieces to the Las Vegas Strip". OpenVegas. Retrieved 9 April 2015. ^ "The Thinker » Norton Simon Museum". www.nortonsimon.org. ^ Wander, Robin (24 January 2012). "The Thinker, one of the most famous works of art in the world, comes home to Stanford's Cantor Arts Center". Stanford Report. Retrieved 9 April 2015. ^ "Photo of the Authorized replica in the Ricardo Brennand Institute". ^ "Instituto Ricardo Brennand abre no feriado de Páscoa" [Ricardo Brennand Institute opens on Easter holiday] (in Portuguese). Sim!. Archived from the original on 6 May 2007. ^ "Galeria de Fotos: Belém ganha exposição internacional de Camille Claudel" [Photo gallery: Bethlehem wins international exhibition of Camille Claudel] (in Portuguese). Portal ORM. 21 June 2006. Archived from the original on 6 July 2011. ^ "The Thinker (Enlarged)", National Museum of Western Art. Accessed 20 March 2013. ^ "Water Fountain Garden: The Thinker (Le Penseur)". Kyoto National Museum. Retrieved 9 April 2015. 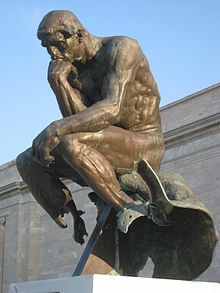 ^ "Museum Dictionary: Rodin's Thinker". Kyoto National Museum. Retrieved 9 April 2015. ^ "List of works at Rodin wing", Shizuoka Prefectural Art Museum. Accessed 20 March 2013. ^ "Donation of Rodin's The Thinker:A Generous Birthday Give [sic] to NTHU Archived 13 September 2014 at the Wayback Machine", National Tsing Hua University. Accessed 20 March 2013. Wikimedia Commons has media related to Le Penseur. The Thinker project, Munich. Discussion of the history of the many casts of this artwork.